I have had many clients explain to me the benefits they desired when purchasing the annuity. They usually tell me that guaranteed income free from market volatility is the reason they purchased the annuity. They usually cannot explain any of the restrictions that accompany these benefits. I have had many clients cite certain tax free benefits of holding an annuity in their pension. They usually forget that their pension income is already tax free. Tax free inside a fax free vehicle rarely makes sense. Many times, locking your hard-earned money into an annuity can cost you a lot of money. It is better to know the full picture before you buy than after you are locked in to the annuity contract. The cost to exit can be significant. Alternative investment that may provide the benefits you are seeking. There are many types of annuities with many different provisions. The majority of annuities are complicated insurance policies that end up causing unintended consequences. If an annuity is the right investment for your circumstances your CPA can help you decide which annuity is right for you. An important item to note is that annuities usually pay large commissions to the annuity salesmen. In our experience, any product that has a large commission has created an incentive for a salesperson not to clearly detail the true costs and benefits. Annuities have some of the largest commissions for salespeople. Investing in an annuity, investing in the wrong annuity, or staying in the wrong annuity could cost you thousands of dollars. Call us or your CPA before you buy an annuity or to analyze an existing annuity that you previously purchased. In the end, it’s a lot cheaper to talk to your CPA prior to acting than after you have made the purchase. If you have any questions, comment below or contact us. 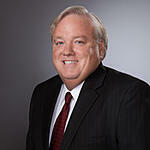 Michael Milam, CPA, CGMA, MAcc, is a founding partner of Milam, Knecht & Warner, LLP. He regularly speaks and publishes articles on tax and estate planning.